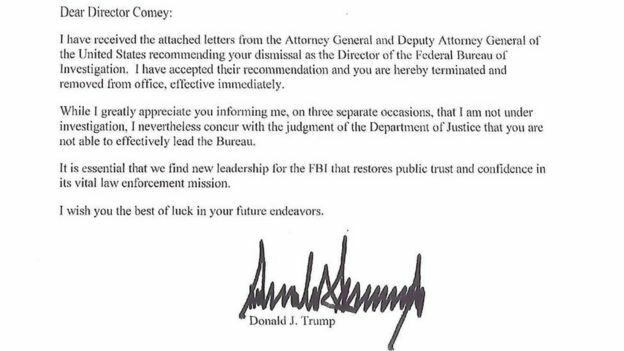 US President Donald Trump has fired the director of the FBI, James Comey, over his handling of the inquiry into Hillary Clinton’s emails, the administration says. Is Comey’s firing part of a cover-up? But the FBI conceded on Tuesday that Ms Abedin had sent only two email chains containing classified information to her husband, Anthony Weiner, for printing.